Gross Weight (GVWR) 5800 lbs. 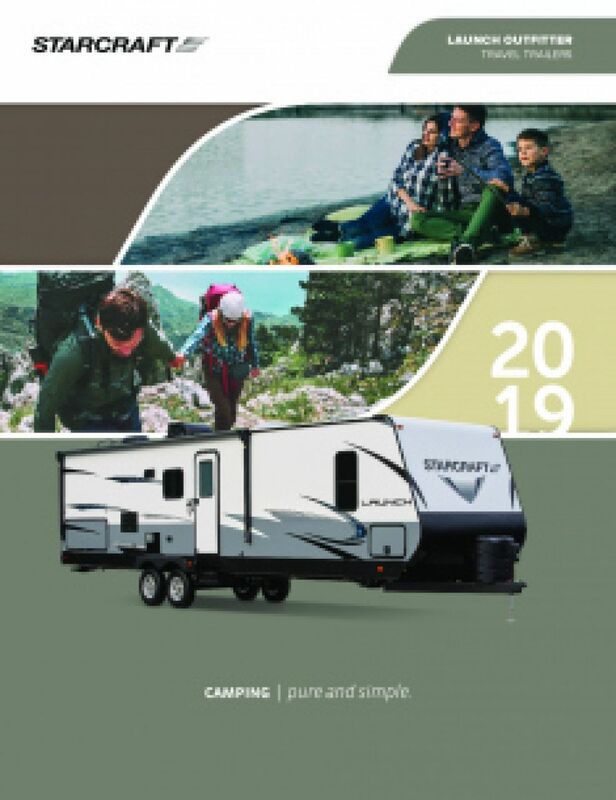 Take the trip of a lifetime every summer with the 2019 Starcraft Launch Outfitter 20BHS! This Travel Trailer is both reliable and comfortable, making it the best RV for you and your family! This model is available now at RV World MI, one of the top Michigan RV dealers! You can visit us at 7834 S Division Grand Rapids Michigan 49548, or call us today at 616-591-3632 for more information from our Starcraft Launch Outfitter expert! 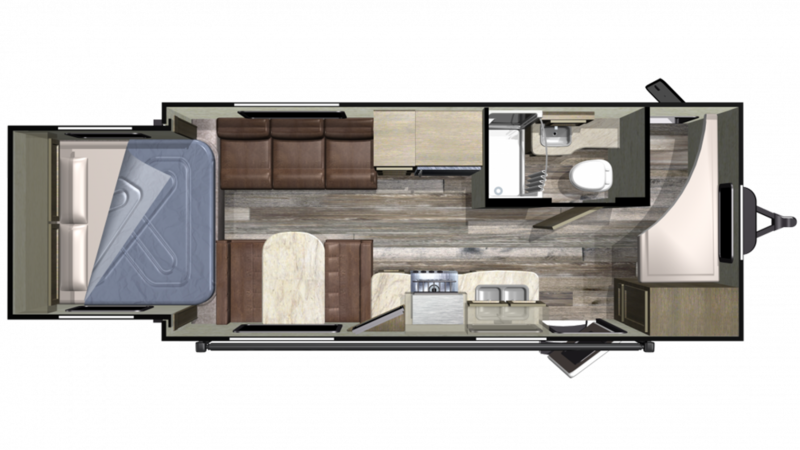 Meals on the road can be a challenge - but not in the 2019 Starcraft Launch Outfitter 20BHS because it has a fabulous kitchen with lots of storage space, as well as a convenient 3 burner cooktop and a generous 6.00 cu. ft. refrigerator to hold all your favorite foods! There's plenty of clean water for the trip, with the 48 gallon freshwater tank! Hate those long trips to the cold, damp communal bathroom? Enjoy the convenience and privacy of your family's own bathroom, complete with a wonderful shower and Foot Flush toilet! With 60 lbs. of LP tank capacity, your showers can stay hot, even if you like them extra long! Used water and waste are stored discreetly in the 31 gallon gray water tank and the 31 gallon black water tank. There are 3 beds inside this model, with extra comfortable Bunkbeds inside the bunkhouse!